It’s always bittersweet to say goodbye to something you have been a part of for a long time. After six seasons with the Jackson Generals, I have accepted a position with the brand new franchise in Biloxi, MS to serve as Director of Public Relations and Broadcasting. It’s a tremendous opportunity that I am extremely grateful for, and a chance to be a part of something.really special. becoming the new broadcaster for the (then) West Tenn Diamond Jaxx. It was an easy decision. I loved baseball after having played it for most of my life and being a die hard Cardinals fan. But, I had never gone through the riggers of a minor league baseball season and honestly had no idea of the things in entailed. Jason and (former GM) Tom Hanson put their trust in me and I went through many trial and error moments. I gave it everything I had for six years and have no regrets. I can never be thankful enough for that opportunity. Someone asked me the other day what are my top moments with the Generals? I have never really thought about listing top moments. Their are countless things that come to mind. 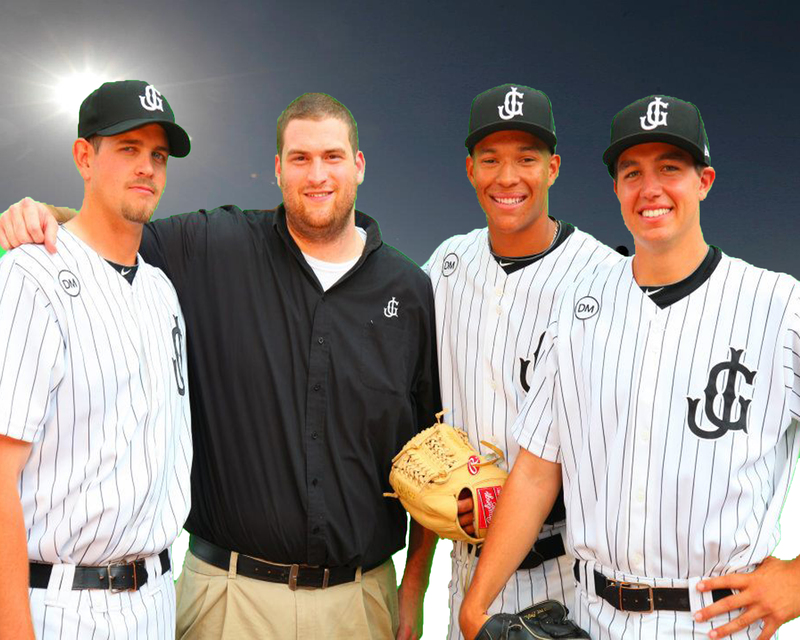 The transition in 2011, from West Tenn DIamond J axx to Jackson Generals. The playoff runs in 2010 and especially in 2012. The many, many experiences on bus rides and a lot of stories I cannot tell! The players that have made their way through Jackson and made a huge impact. The top picks like Dustin Ackley, Mike Zunino, D.J. Peterson and Danny Hultzen. The big three in 2012, with Walker, Paxton and Hultzen in the starting rotation. Being chased around the field in Jacksonville by half the team trying to dunk champagne on me after clinching the first half title in 2012. Even though that team lost in the Southern League Championship, it will go down as one of the best minor league teams. Hosting the Southern League All-Star Game in 2011. On a personal note, it was truly an honor to be recognized by fellow league broadcasters and GM’s in 2013 as Southern League Broadcaster of the Year. If for anything it just makes you feel like you are doing things the right way and has motivated me to not only be a better broadcaster, but also inspire me to advance my career. This is why I made the decision. Saying goodbye to the Mariners organization isn’t easy. From top to bottom, it is an organization filled with class. The coaches, front office personnel, scouts, PR staff have gone above and beyond for me and helped me grow in the world of baseball. They are filled with talented individuals on and off the field and are on the verge of something really special. The broadcast team of Rick Rizzs, Aaron Goldsmith, Kevin Cremin and Shannon Drayer couldn’t have been any more generous with their time and allowed me so many great experiences. The managers I have worked with have been terrific. Each different in their own way. Each taught me lots of things about the game of baseball. To all the fans and supporters of the team, it has been a true privilege to be the voice of your team. I have grown a lot as a broadcaster and person because of so many great people. For all the “Kiss it Goodbyes” on home runs, salutes to Dave Niehaus’ “Get out the mustard and rye bread” grand salami calls and “Jackson General Winners”, it’s been a blast. It is goodbye in a way, but the Shuckers make trips to Jackson in May and August. So life in the best darn league in the minors continues and I am looking forward to it. 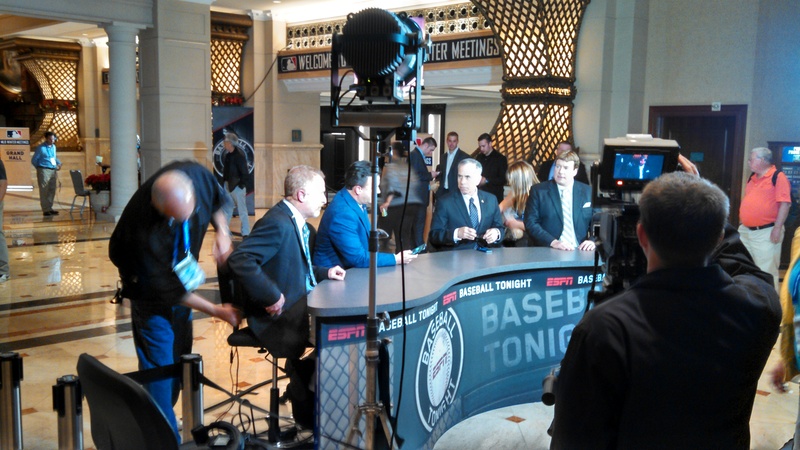 The familiarity with each of talented broadcasters and media guys and gals in the league is h uge. The transition should be seamless and I am beyond thrilled to be starting in this new market. Jackson and West Tennessee will always be special to me whether I am working here or not. It’s home. It will always be home. With that said, I look forward to staying in touch with so many great friends and supporters on social media, etc.. If you make a trip down to Biloxi, I’ll save some seafood and a spot on the beach for you. Thanks for everything. What a week. Having been to the past four Winter Meetings in Dallas, Nashville, Orlando and now San Diego – the people of SD get an A+ and I would rank it at the top of the list. The 70 degree weather each day has a lot to do with that, but just about every aspect of the meetings was done in a first class manner. 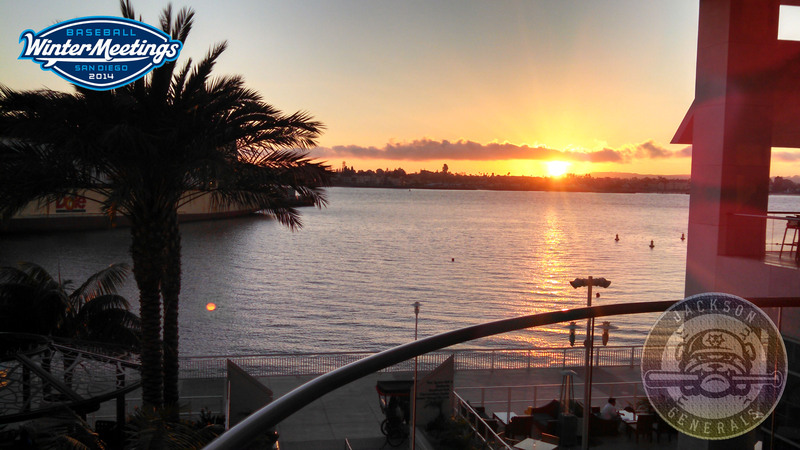 So, here is a cliffs notes recap of week and some takeaways from the week in SD. This setup was a bit different in the fact that the MLB and MiLB sides were separated for the most part. The MLB hotel was the Hyatt and the MiLB hotel was the Hilton. It was about a 10 minute walk from the Hilton to the Hyatt and did that a couple of times. For me, the meetings this year were spent doing a lot of networking, sitting in on seminars and for the first time, searching for a #2 broadcaster. You do all this while keeping a close eye on breaking news, trades and what not. I had always been by the job fair. Peaked in. But, for the first time I had an active posting for a position in which I was doing interviews. 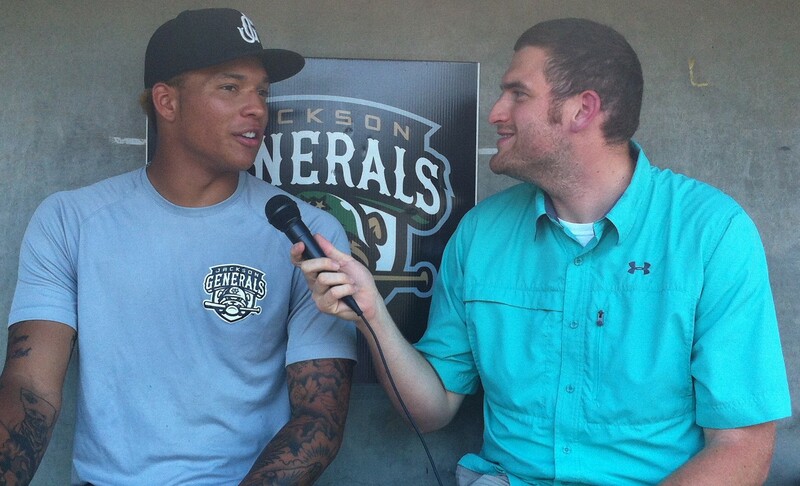 The Jackson Generals Media Relations and Broadcast internship received over 200 applications in three days. 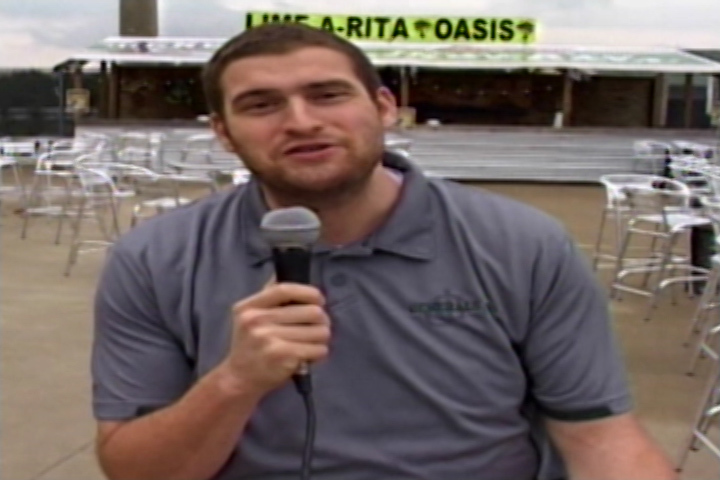 It was overwhelming, but beneficial getting to meet many up-and-coming broadcasters. We also had other listings that Generals’ Manager or Promotions and Merchandise Nick Hall did interviews regarding. He was featured in this article in the San Diego Tribune on Wednesday. The Mariners did not make a deal during the Winter Meetings, but did pick up left-hander David Rollins with the 12th pick of the MLB portion of the Rule 5 draft. Speaking of Rule 5, I was a bit surprised the Mariners did not lose anyone – especially in the AAA portion. OF Jordy Lara, RHP Jordan Pries, RHP Stephen Landazuri, OF Leon Landry and RHP Jochi Ogando were some or the top notable candidates, but they are still Mariners. The M’s still appear to be interested in adding a right-fielder, but don’t seem to be in a big rush. Lots of deals where made Wednesday and Thursday including a few deals involving former Southern Leaguers. 2014 Jacksonville Suns’ Anthony DeSclafani was in the Latos deal, while Andrew Heaney, Austin Barnes, and Chris Hatcher along with Enrique Hernandez were traded to the Angels for Dee Gordon, Dan Haren, and Miguel Rojas. Former Tennessee Smokies’ Andrew McKirahan was selected in the Major League portion of the Rule 5 draft by the Marlins, while catcher Luis Flores (Astros), outfielder Brett Jackson (Giants) and infielder Nate Samson (Dodgers) were picked in the Triple-A portion. Jackson played in the 2011 Southern League All-Star game in Jackson. The Royals signed former Mariner Kendrys Morales to a two year, $17 million deal which is a bit remarkable. Will they or won’t they go? So, a question still remains whether or not the Mariners will include a prospect or four in a deal to upgrade RF or potentially SS (Ian Desmond). The Mariners have made it a point to hold onto these top prospects. 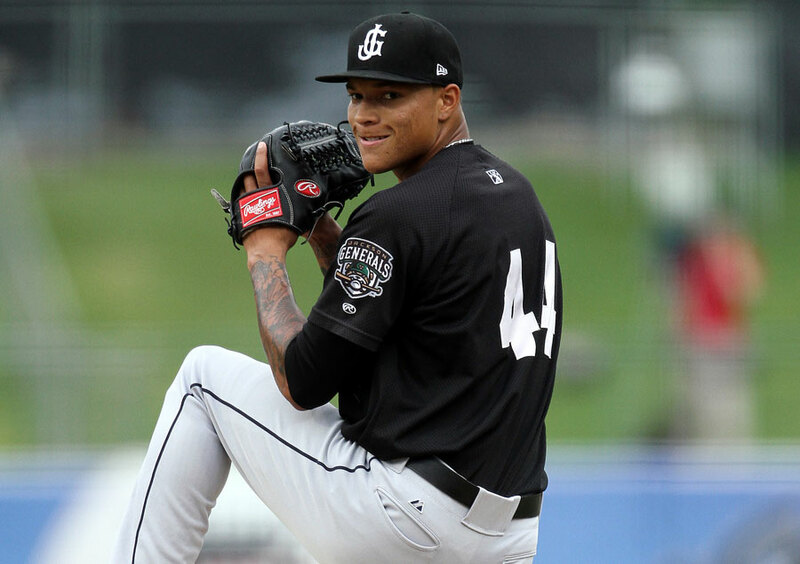 One story that did break during the week was one in which the Mariners might be souring on Taijuan Walker. Mariners GM Jack Zduriencik denied those rumors adamantly. If anything, their could be some frustrations with minor health issues, but he is still a cornerstone prospect. Danny Hultzen news seems quite optimistic which is fantastic. The shortstops, Chris Taylor and Brad Miller seem to be as of right now the guys for 2014. If the M’s don’t land a RF via free agency or trade, expect to see Miller getting some reps in the OF during spring training. He’s got the makeup to do it and he would rank behind Taylor slightly on defense. Overall, I think the prospects stay put with the Mariners. That means a blockbuster deal will go down tomorrow sending six of them somewhere. I had several conversations with M’s personnel on Tuesday night about Patrick Kivlehan and he certainly has upped his stock since his impressive AFL. Will he get a shot to make the MLB roster in spring training? Highly doubtful. But, he and Peterson starting at AAA in ’15 will give the opportunity to move up during the year. Speaking of Mariners personnel, the annual affiliates reception on Tuesday night was fantastic. 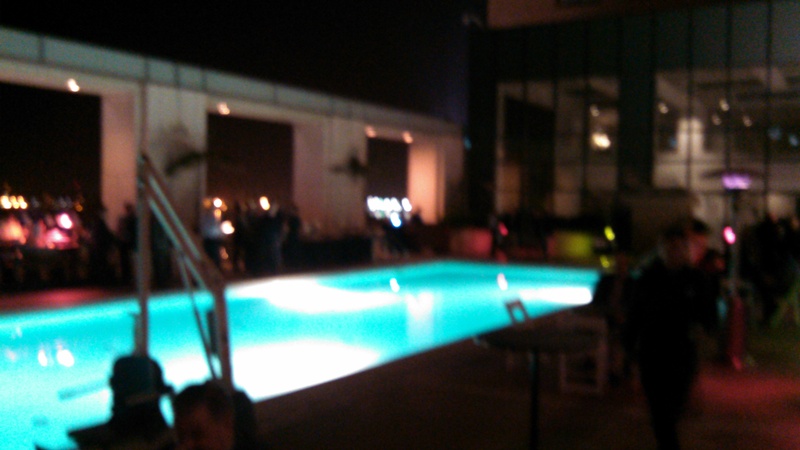 It was on the pool deck of the Hyatt and dark, but fortunately nobody fell in pool. Although I did come close once. (but was due to my clumsiness and not alcohol) The Mariners organization is pure class from top to bottom. That isn’t lip service, it has been that way for all six of my years in Jackson. Whether you are the Double-A broadcaster or a rich executive, they treat you the same. That’s a terrible picture, but you get the idea. It was incredible. 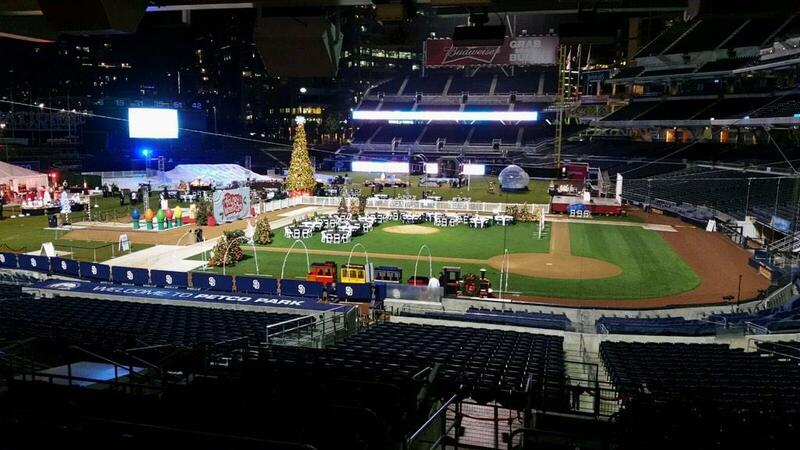 There was live Reindeer, a snow hill in centerfield and ALL YOU COULD EAT FOOD. The picture can’t really descibe the awesomeness of the scene. I actually ate my meal between first and second base on the dirt. So, watching games there next year that will be all I will think about. The Winter Wonderland setup was nice and it ranks above the Gala experience at The Ballpark at Arlington in 2011. On the field you had executive after executive wandering about the field at PETCO Park enjoying all-your-can eat food. There was even a small snow covered hill (yes, real snow) in centerfield that you could intertube down. It was announced last week that the Seattle Mariners Advanced Class-A affiliation will no longer be in High Desert, but moving to Bakersfield in the California League. The move ends an eight-year run of Seattle being affiliated with the Mavericks in Adelanto, CA. 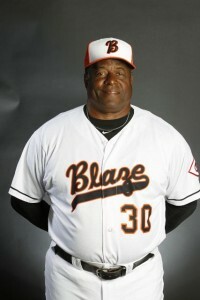 The Blaze had been affiliated with the Reds for the past four years. Ballpark Digest also chronicled the change in affiliation. So, no longer will most of the new Generals come from High-A, High Desert, but from High-A, Bakersfield. Admittedly, it is a bit less redundant to say and write. I thought it would be fun to get to know the new M’s affiliate – get to know Bakersfield, the area and the ballpark. They are a franchise that has been around for a long time and have a rich baseball history. So, I reached out to Dan Besbris, Assistant GM for Media and Marketing as well as team broadcaster for the past three seasons. I asked him.some questions and he came through with some terrific answers. Here is my Q&A with Dan. CH: Where did the nickname Blaze come from? DB: Unfortunately, the story isn’t nearly as funny as the ones that get thrown around. It’s not because we lit the field on fire or had some run-in with the fuzz. Sadly, it’s just because it’s hotter than Hades in the summertime. CH: What is Bakersfield most known for? DB: Oil, energy, agriculture, and country music. We are the second-largest oil-producing area in the States behind Alaska. Of course, the area does take on a bit of an odor, and the air quality here is pretty low. As far as music, Bakersfield is the home of Buck Owens and Merle Haggard. Most folks know it as “The Bakersfield Sound” – there was an exhibit on it at the Country Music Hall of Fame in Nashville we were fortunate enough to check out during the Winter Meetings a couple years back. CH: Tell me a little bit about Sam Lynn Ballpark? DB: Sam Lynn Ballpark is an odd duck. It faces the wrong way, and centerfield is only 354 feet from home plate. The scoreboard, which was actually installed by the Mariners back in 1983, seems to have ghosts in it, adding numbers where they shouldn’t be, and putting up a mysterious “7” in the 7th that can’t be removed. But it’s also nostalgia at its best. Most folks out here remember when they played a High School tournament at Sam Lynn 40 years ago or came out and saw the Dodgers 5 straight Rookies of the Year. It’s a weird little hut, but it’s our weird little hut. Oh, and our program salesman is a man named Froggy that almost anyone that has played here will remember for his gravely voice. CH: It is an older park, what are the prospects of a new stadium? DB: Rumors come and go. I’ve sort of stopped paying attention to them, though the latest is a potential move to Salinas. 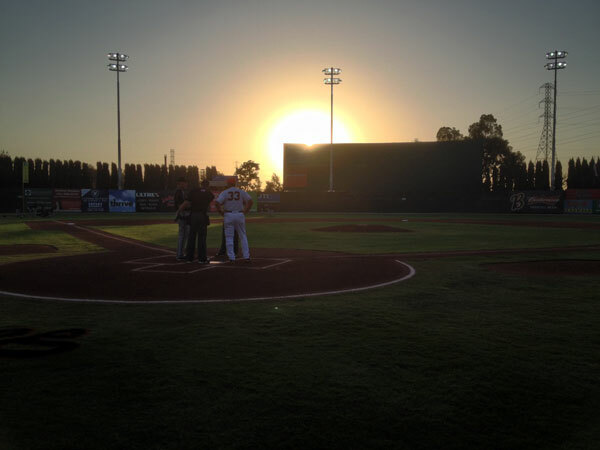 CH: So, the sun sets behind the centerfield wall. What challenges does that present? DB: We have to start games around 8 p.m. pacific time in the dead of summer. The California League won’t let us start, then take a sun delay, so we have to wait until the sun ducks behind a 30-foot metal wall build behind, and above the outfield fence in straightaway center. It’s tough to get kids to stay past the 5th or 6th inning, just because of timing, but otherwise, a pair of sunglasses usually does the trick. CH: How has attendance been recently? DB: On the rise, for sure. We only hold 1,839 at capacity, so we’ll never be a big bopper, but we’re up from 40k in 2011 to 60k this year, and 800+ fans per night in a park that only has 1,200 grandstand seats feels relatively full. CH: What is some of the more unique aspects of the baseball history in Bakersfield? DB: Don Mossi, arguably the ugliest man in baseball history, was married at home plate. Don Drysdale is our Hall of Famer, and over 250 former Bakersfield players have made the bigs. The names people might know, recently at least, would be Billy Hamilton of the Reds (who set the minor league steals record with over 100 here before finishing the job in Pensacola), Josh Hamilton, Chris Davis, and going back a tiny bit farther, Rocco Baldelli. CH: What are the biggest names to of played for Bakersfield? DB: Oops, sort of answered this one above. Our Dodgers years were the most laden with names. Pedro Martinez, Mike Piazza, Eric Karros, Raul Mondesi, Hideo Nomo, Orel Hershiser, and so on. CH: What is the history of MLB affiliation in Bakersfield? DB: Yikes. There’s been a bunch. Mariners (of course), Reds, Rangers, Devil Rays, Giants, Dodgers (that gets us back to 1968). Prior to that, it was a bit of a revolving door that included the Phillies, Cubs, Tigers and Indians. CH: As the broadcaster, what has been some of your most memorable moments since you have been there? DB: My first month in Bakersfield I got to call (and then feel the hurt from) the longest professional 9-inning game. 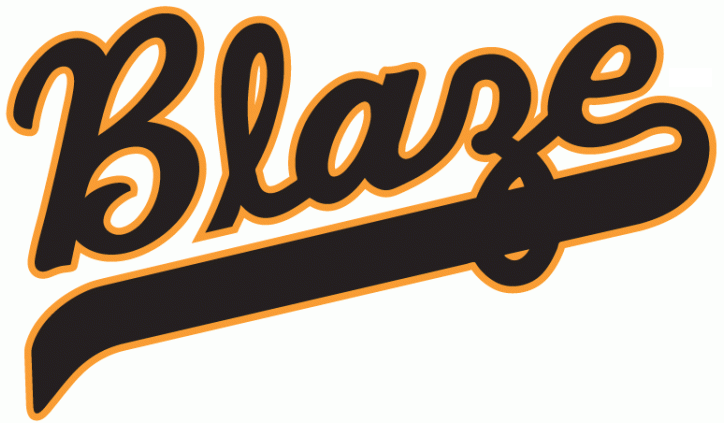 In April of 2011, the Blaze lost to the Inland Empire 66ers by the score of 24-19 in a game that took 4:55 and included a 10-run comeback. Being a part of the Billy Hamilton legend in 2012 was pretty amazing (took calls from ESPN, the LA Times, the NY Times, among others), and this year we had Tara the Hero Cat throw out a first pitch and ESPN did a SportsCenter package LIVE from Sam Lynn. CH: If a Mariners fan visited Bakersfield, what would be on their to do list to see or do before leaving? DB: Sunday brunch at Buck Owens’ Crystal Palace; try some Basque food (we have a strangely large number of Basque in Bakersfield); drive out to the oilfields just to get a look at the chaos. CH: Do you ever get any references to the movie “Cast Away” with Tom Hanks? DB: Nope, though I’ve tried to get people to watch The Running Man with Arnold. The criminal he chases at the beginning of the film is called The Bakersfield Butcher. Another summer of professional baseball in Jackson has come and gone. Despite a losing record for the second straight year, this club will be remembered for some pretty entertaining moments and some numbers that are pretty astonishing. I thought what better way to wrap up a season with some accolades and putting some of those great performances into perspective. First off, attendance wise in 2014, Jackson drew a total of 135,248 fans in 67 openings, which was 16,046 more than last season. It was the highest total attendance since 2008 and thanks in part to a new playing surface, the 67 home dates was the most in seven years. Offensive Player of the Year and MVP: Jackson’s successes in 2014 were led in large part by Patrick Kivlehan. He was named a Southern League postseason All-Star and ranked seventh in the league in average (.300) and fourth in slugging (.485). Kivlehan played in 138 of 139 games overall this season between Single-A and Double-A and hit .295, with 32 doubles, nine triples, 20 home runs and 103 RBI’s. Kivlehan played first, third, and all three outfield positions. His favorite player growing up in New York was David Wright and he may end up being just as good. Honorable Mentions: Ketel Marte was promoted to Triple-A Tacoma on August 10, but still earned postseason All-Star honors in the league. Marte hit .302, with 27 doubles for Jackson and improved those numbers in Tacoma batting .313. The 20-year-old shortstop has a bright future. Although D.J. Peterson just played just half a season in Jackson, you can’t deny the big numbers. Like another former Seattle first round pick, Mike Zunino in 2012, Peterson blasted 13 home runs in a short period of time, 58 games, and collected 38 RBI’s. Peterson wrapped up his second pro season, batting .297, with 31 doubles, 31 home runs and 111 RBI’s in 123 games with Single-A High Desert and Jackson. Peterson is one of just five minor league players this season to record at least 30 home runs, while driving in at least 100 runs. Peterson finished with one more RBI this season than Cubs top prospect Kris Bryant. Starting Pitcher of the Year: The Seattle Mariners picked up a steal with their 17th round pick during the 2013 draft in lefty Tyler Olson. The Gonzaga product finished the season with a club-record five wins in August and became the first pitcher in franchise history to record 10 wins in a season since J.R. Mathes accomplished it in 2006 when the Diamond Jaxx were affiliated with the Chicago Cubs. In six August starts, Olson was 5-1, with a 1.18 ERA, allowing just five earned runs in 38.0 innings. He struck out 30 and walked just seven in August. Overall, Olson was 10-7, with a 3.52 ERA in 2014. Reliever of the Year: There was not a Stephen Pryor, Yoervis Medina, Steve Delabar or Carter Capps on this club, but, Stephen Shackleford led the team with 44 appearances and went 6-2, with a 3.11 ERA. Shackeford struck out 70 over 63.2 innings and had a 1.64 ERA over his last 13 outings. Breakout Player: If you keep up with prospect rankings, outfielder Jordy Lara was nowhere to be found back in March. Well, the 23-year-old Dominican led the Mariners minor league system with a .337 average, as well as 40 doubles, 26 home runs and 104 RBI’s split between High Desert and Jackson. Not bad. Honorable Mentions: Dan Paolini will not get any headlines or prospect statuses, but he closed the season with back-to-back four-hit performances (no other Jackson player and two four hit games) and finished tied for fourth in the league with 34 doubles. He hit just .165 with no home runs in 31 Double-A games in 2013, but rebounded by hitting .268, with 13 home runs and 65 RBI’s in 2014. Also, outfielder Leon Landry rebounded from a lackluster 2013 campaign to lead the Generals with 25 stolen bases and made numerous spectacular catches in centerfield. Most likely to begin the season in Seattle next season: The past two years a Jackson starter has broken camp the next year with the Mariners starting rotation. It was righty Brandon Maurer in 2013 and lefty Roenis Elias this year. Olson definitely will get a look in 2015 spring training and certainly Peterson, Kivlehan, Marte and even pitcher Trevor Miller will have a shot. Moment of the Year: There were some really nice moments in 2014, but honestly the moment freshest on the mind could be the best. 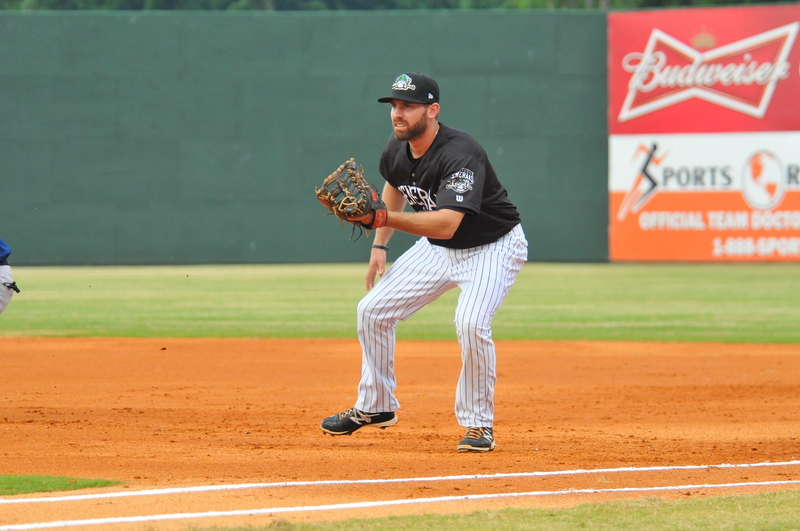 The Generals closed the season on September 1 at Montgomery with a 13-6 win in which Peterson hit two home runs and Jackson had 20 hits in a game for the first time since August, 2009. Retiring pitcher Moises Hernandez (Felix’s older brother) got the win. Hernandez got a water cooler shower and it was just a fantastic way to end a season. Names to watch out for in 2015? Yes, the Generals open the season on April 9, 2015 at Jacksonville and it’s never too early to look ahead. Outfielder Jabari Henry hit .291, with 30 home runs and 95 RBI’s for Single-A High Desert in 2014. Also, outfielder Gabby Guerrero, the nephew of former MLB slugger Vladimir Guerrero hit .307, with 18 homers and 96 RBI’s for High Desert this season. At 24-years-old, Jackson utility man and promising young Mariners prospect Jack Marder has been forced to give up baseball. Marder was hit in the head by a 92 mph fastball during a game in Montgomery on July 19, which ultimately is the final game of his professional baseball career. He suffered a concussion, which was at least the seventh in his baseball career. Originally drafted as a catcher in 2011 out of the University of Oregon, the concussions that added up forced him to make a position change. The meeting he is referring came at the end of the season in Seattle with Mariners doctors. Marder began to play catch, take swings in the cage and it seemed if the season went on a few more weeks he could be activated. Marder, as any baseball player would be after hearing news like that was devastated. In the dictionary beside the word toughness, there should be a picture of Jack. If you were able to be around Jack, his positive attitude and mindset rubbed off on you. He never had a bad day. I mean can you imagine suffering through that many concussions and playing the game at the highest level? He was a coaches dream. Whether it was teammates, scouts, coaches, opposing teams, umpires etc. they raved about how he played the game. He played it the right way, whether he felt good that day or not. Marder announced the news on his twitter page on Friday night and of course there was an outpouring of support from fans and teammates. Mariners’ top prospect D.J. Peterson had this to say to Marder after playing with him the second half of the 2014 season. @JackMarder3 wish you the best big guy. Was a pleasure playing with you! Big guy? Well, not so much in stature at a listed (and I say listed) 5’11’’, 185 pounds, but again it comes from how he played the game. He jumped on the radar after his 2012 season with Single-A High Desert in the hitter friendly confines of Adelanto, CA posting a .352/.416/.564 slash line with 24 doubles, four triples, 10 home runs and 56 RBI’s in just 65 games. He was limited due to one of those concussions and a hamstring injury. It was in 2012 though when we began to see the versatility as he appeared in games at catcher, second base and the outfield. In 2013, rated as a top 20 Mariners prospect he battled through the tough jump to Double-A and was no longer a catcher. In 90 games, he batted just .218 playing in games at catcher, second base, third base, left field, right field and designated hitter. But, this year, in his second season at the Double-A level, Marder started to live up to that hype he received at the end of 2012. After a little bit of a slow start, he hit .329 in June and overall in 74 games batted .277, with 11 doubles, two triples, five homers and 24 RBI’s. The patented patience at the plate led to 27 walks and a terrific .375 on-base percentage. He was also hit by a pitch 12 times in 2014, pushing his career total to 38. For now though, it’s looking to the future. Unfortunately, it is not a future that would’ve probably had him with Triple-A Tacoma in 2015. But, Marder has already paved out a plan, at least for the short-term. He is going back to the University of Oregon to finish school and be an undergrad assistant for the Duck’s baseball team. More importantly than anything though, he says he is feeling healthy. With his knowledge and passion for baseball, I asked him if coaching professionally could be in his future. Over four seasons and 247 games he’s had some great memories and I asked him to reflect on his baseball career not only with the Mariners’ organization, but overall. “I played baseball since I was three and have had great moments and have had bad ones. I’ll miss the guys, the bus rides, grind of it and long seasons where you go through so much. You never get that anywhere else and I’ll miss it. Feeling of getting knocked in the dirt and coming back from it and rising above it. That’s what baseball is. I wish there were more players like Jack Marder, more players that played the game the right way. More players that pulled the socks up high and had that “bring the lunch pail to work” type of passion and work ethic. He had a chance to play in the big leagues and unfortunately it will never come to fruition. It’s not fair, in fact in flat out stinks, but Marder has an amazing attitude. • The Generals conclude their final series and road trip of the season today with the rubber match of a 5-game set at Montgomery…Jackson dropped 3 of 5 from Chattanooga in previous series. 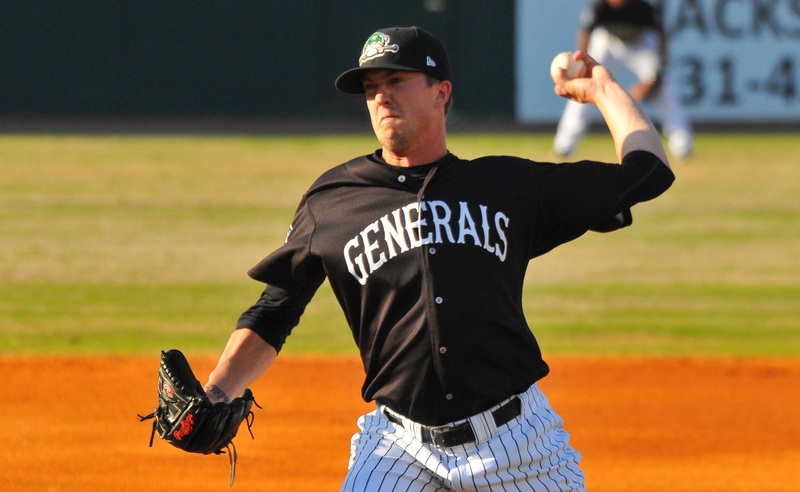 • The Generals came back from a 6-4 deficit on Sunday night to defeat Montgomery 7-6 and even the series at 2-2. • LF Dan Paolini (4×5) homered in the first and was a triple shy of the cycle. Paolini’s 4-hit game was his second of the season (last 8/9 at PEN). 1B D.J. Peterson (2×5, RBI), C Tyler Marlette (2×4, HR) joined Paolini with multi-hit games on Sunday. • It was just the 6th time in 62 games that Jackson has won win trailing after six innings. • Starter Stephen Landazuri (4.1,6,6,6,3,3) did not factor into the decision in his final start of 2014. LH Kyle Hunter (2.2,2,0,0,1,2) picked up the win as he, LH Nick Hill (1.0,0,0,0,1,1) and RH Matt Brazis (1.0,0,0,0,0,1) shutout the Biscuits over the final 5.2 innings. Brazis recorded his 2nd save. • Over 5 starts in August, LH Tyler Olson went 5-1 with a 1.18 ERA (5 ER, 38.0 IP). During this stretch he limited opponents to a .199 (28×141) average, while walking 7 and striking out 30. After going 3-5 with a 4.56 ERA (36 ER, 71.0 IP) over his first 13 AA starts, Olson went 7-2 with a 2.15 ERA (13 ER, 54.1 IP) over his final 9 starts. • Olson became the franchises first 10-game winner since J.R. Mathes accomplished the feat in 2006 (10-8).That was a year prior to Jackson becoming an affiliate of the Mariners. • The Southern League announced the 2014 Postseason All-Stars Friday and Ketel Marte was named to the squad at shortstop and Patrick Kivlehan as utility player. Kivlehan has appeared in games at 1B, 3B, LF, RF, CF and DH. • Of the 10 minor league players this season to record at least 100 RBI this season, the Generals currently have 3 players on the list. Seattle is the only franchise with 3 players with at least 100 RBI this season (Colorado has 2) and have 4 players that rank in the top 13. INF D.J. Peterson currently ranks 3rd in the minor league with 106 RBI, while INF/OF Patrick Kivlehan and INF Jordy Lara are T5th with 103. High Desert OF Jabari Henry is currently T13th in 2014 with 95 RBI. • The Mariners, affiliated in 2014 with the Surprise Saguaros are sending current General pitchers RH Matt Brazis and RH Stephen Landazuri along with position players D.J. Peterson and Patrick Kivlehan to the AFL. • Current High Desert pitcher Matt Anderson and Tacoma catcher John Hicks will play for Surprise. Jackson trainer B.J. Downie will serve as athletic trainer for the Saguaros, who will partner with the the Red Sox, Reds, Padres and Rangers in 2014. • YOU ALREADY KNOW that the Generals won their 62nd game of the season on Sunday, but DID YOU KNOW? ..that it matched the win total of 2013 and only twice in the 17-year history of the franchise has the club ended the season with less than 62 wins. (60 in 2007, 59 in 2001). • Seattle snapped an 11-game losing streak vs. the Nationals yesterday with a 5-3 win (since June 10, 2005). • Defeated them for the first time since they moved to Washington (last: vs. Expos on June 13, 2004). • Former Jackson 2B Dustin Ackley hit a go-ahead 3-run home run in the 5th inning, his 2nd home run in as many days. He has 7 home runs in his last 28 games (as well as 5 doubles, 2 triples and 26 RBI) since July 31. • Bring on the Biscuits…again: The Generals conclude their season series with Montgomery today and are 9-10 overall this season against the Biscuits and 4-5 at Riverwalk Stadium. • Jackson is batting .264 against Montgomery this season and have been out-scored by the Biscuits 87-84 in the 18 games. • Leading the SL in Homers Since July 1st – After hitting just 40 home runs over their first 81 games, Jackson has hit 50 home runs over their last 57 games since July 1st which leads the Southern League in that period of time. The Generals have hit 29 home runs in August which is 2nd in the SL and 14 in their last 14 games. • Peterson blasts homer 11 and 29 on Saturday – INF D.J. Peterson blasted his 11th Jackson home run and 29th overall this season on Saturday night. Peterson currently ranks 2nd in the Mariners minors behind Jabari Henry of High Desert (30) in home runs and is T11th in all of MiLB. • LH Kyle Hunter has allowed only 1 run over his last 28.0 innings (0.32 ERA). During this stretch, since July 16, Hunter has limited opponents to a .182 (18×99) average, while walking 6 and striking 13…After posting a 4.10 ERA in 16 first half games, Hunter has a 2.41 ERA in 22 second half games. • The Generals continue their final series and road trip of the season today with game 4 of a 5-game set at Montgomery…Jackson dropped 3 of 5 from Chattanooga in previous series. • Starter Tyler Olson allowed only 2 hits over 7.0 scoreless innings to lead Jackson to a 4-3 over Montgomery on Saturday night. • Olson (7.0,2,0,0,2,3) earned his 12th win of the season and 10th with Jackson, allowing only 2 hits over 7.0 shutout innings. RH Stephen Shackleford (1.0,1,0,0,1,3,WP) allowed 1 hit, walked 1 and struck out 3 in the 8th inning, while RH Mayckol Guaipe (1.0,3,3,3,1,0) allowed 3 rund in the 9th inning before recording the final 3 outs to close out the game. • SS Tyler Smith (3×5, R, 3B) led the team with 3 hits, while CF Patrick Kivlehan (2×5, R), 1B Dan Paolini (2×4, R), LF Kevin Rivers (2×4, 2B, 2 RBI) and C Tyler Marlette (2×4, 2B) each recorded 2 of the Generals 15 hits. • YOU ALREADY KNOW that Tyler Olson become the first Jackson pitcher in eight years to win 10 games in a season on the mound, but DID YOU KNOW? that the last Mariner Double-A pitcher to record 10 wins was LH Thomas Oldham in 2005 with the San Antonio Missions. • The Mariners conclude a 6-game homestand with the finale game of a three-game set vs. the Washington Nationals (0-2)…travel after today’s game to begin a 2-city, 7-game road trip with the Athletics (3 games) and Rangers (4 games). • The Mariners are currently 1.5 games back of the 2nd wildcard spot in the American League. 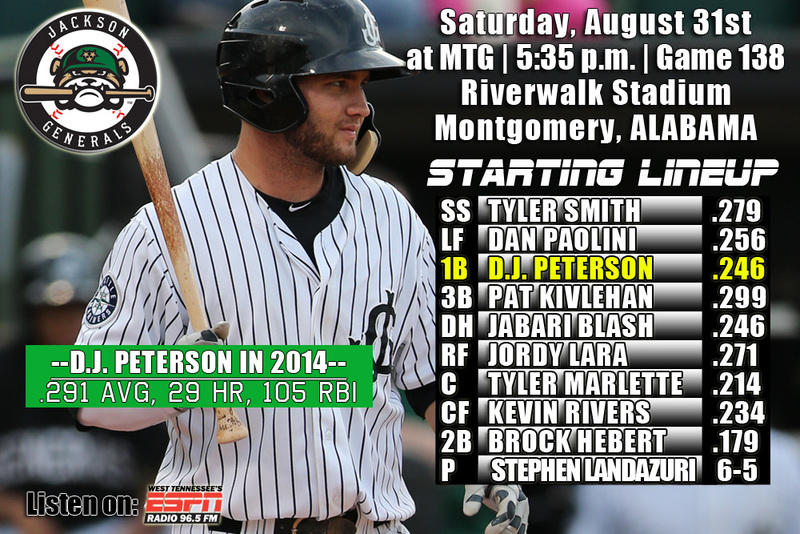 • Bring on the Biscuits…again: The Generals make their second and final trip to Montgomery in 2014 and are 8-10 this season and 2-5 at Riverwalk Stadium. • Leading the SL in Homers Since July 1st – After hitting just 40 home runs over their first 81 games, Jackson has hit 47 home runs over their last 55 games since July 1st which leads the SouthernLeague in that period of time. The Generals have hit 27 home runs in August which is 2nd in the SL and 12 in their last 13 games. • LH Kyle Hunter has allowed only 1 run over his last 25.1 innings (0.36 ERA). During this stretch, since July 16, Hunter has limited opponents to a .180 (16×89) average, while walking 6 and striking 13…After posting a 4.10 ERA in 16 1st half games, Hunter has a 2.60 ERA in 21 2nd half games. • Of the 10 minor league players this season to record at least 100 RBI this season, the Mariners currently have 3 players on the list. Seattle is the only franchise with 3 players with at least 100 RBI this season (Colorado has 2) and have 4 players that rank in the top 13. INF D.J. Peterson currently ranks T3rd in the minor league with 105 RBI, while INF/OF Patrick Kivlehan ranked 5th with 103 and INF Jordy Lara is T6th with 102. OF Jabari Henry is currently T13th in 2014 with 95 RBI. • The Generals continue their final road trip of the season tonight with game 3 of a 5-game series at Montgomery…Jackson dropped 3 of 5 from Chattanooga in previous series. • The Generals allowed 7 runs in the first two innings Friday night and fell to Montgomery 7-1 in game two of the set. • Starter Cam Hobson allowed 7 runs on 9 hits in the first 2.0 IP, but no runs on 3 hits over the next 5.0 innings. He logged 7.0 IP for only the second time in 2014, but suffered the loss. RH Matt Brazis logged a strikeout in a scoreless 8th inning. • LF Dario Pizzano (2×4) had 2 of Jackson’s 5 hits and delivered an RBI single in the top of the 3rd for the Generals only run of the night. • Over his last 5 starts in August, LH Tyler Olson is 4-1 with a 1.45 ERA (5 ER, 31.0 IP). During this stretch he has limited opponents to a .220 (26×118) average, while walking 5 and striking out 27. After going 3-5 with a 4.56 ERA (36 ER, 71.0 IP) over his first 13 AA starts, Olson is 6-2 with a 2.48 ERA (13 ER, 47.1 IP) over his last 8 starts. • YOU (MAY) ALREADY KNOW that Patrick Kivlehan and Ketel Marte were named postseason Southern League All-Stars, but DID YOU KNOW? that last season the Generals had no representatives on the squad. • Seattle has lost back-to-back games after 8-3 loss to Washington last night for the first time since 4-game streak July 22-25…Seattle won 19 of the next 29 games following the 4-game losing streak (July 26-Aug. 27). • Seattle allowed 6 home runs, the 8th time in club history to allow 6+ home runs (last: June 20, 2012 at Arizona). • Moises Hernandez’ younger brother Felix Hernandez allowed 5 earned runs for the first time since giving up 8 on Aug. 28, 2013 vs. Texas. 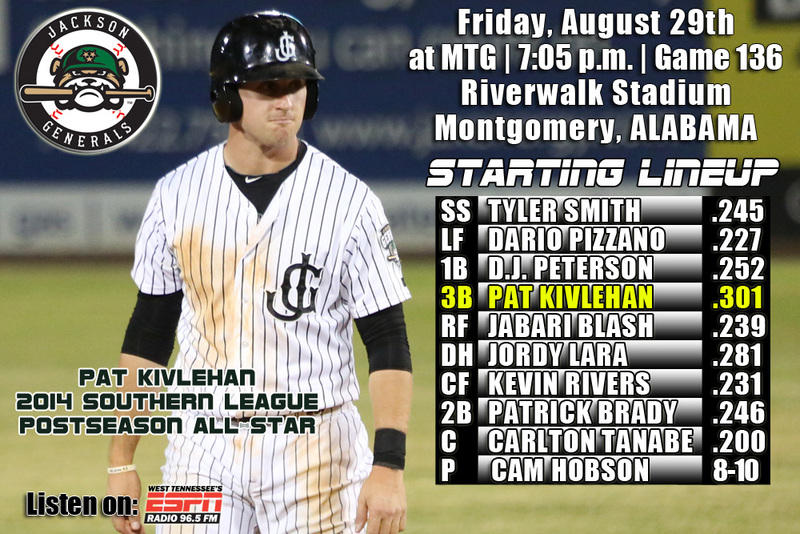 • Bring on the Biscuits…again: The Generals make their second and final trip to Montgomery in 2014 and are 7-10 this season and 2-5 at Riverwalk Stadium. The Biscuits won 4 straight in Montgomery over Jackson including 3 walk-offs. • Jackson is batting .256 against Montgomery this season and have been out-scored by the Biscuits 84-80 in the 17 games. • Leading the SL in Homers Since July 1st – After hitting just 40 home runs over their first 81 games, Jackson has hit 47 home runs over their last 54 games since July 1st which leads the SouthernLeague in that period of time. The Generals have hit 26 home runs in August which is 2nd in the SL and 11 in their last 12 games. • Of the 7 minor league players this season to record at least 100 RBI this, the Mariners currently have 3 players on the list. Seattle is the only franchise with at least 2 players with at least 100 RBI this season and have 4 players that rank in the top 11. INF D.J. Peterson currently ranks 3rd in the minor league with 104 RBI, while INF/OF Patrick Kivlehan and INF Jordy Lara are each T4th this season. Hi-A High Desert OF Jabari Henry is currently T11th in 2014 with 95 RBI. • B.J. Downie will serve as athletic trainer for the Saguaros, who will partner with the the Red Sox, Reds, Padres and Rangers in 2014. • The Generals continue their final road trip and series of the season tonight with game 2 of a 5-game series at Montgomery…Jackson dropped 3 of 5 from Chattanooga in previous series. • Reliever Moises Hernandez was called for back-to-back balks in the bottom of the 10th allowing Montgomery to score the first run of the game and defeat Jackson 1-0 on Thursday night. • Starter Tyler Pike (6.0,2,0,0,3,5) did not allow a hit through 5.1 and has now held an opponent hitless through 5+ inning 4 times in his career, including a combined no hitter on May 28 while with High Desert. LH Kyle Hunter (1.1,0,0,0,0,1) and RH Stephen Shackleford (1.2,0,0,0,0,1) held Montgomery scoreless for 3 innings after Pike. 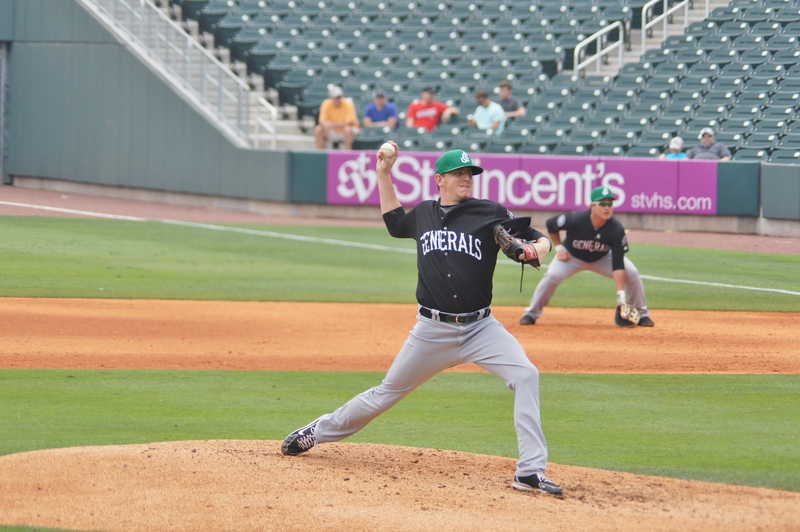 • The Generals tallied just 3 hits, all from different players. 3B D.J. Peterson (1×4) earned the first hit of the game in the 1st as CF Pat Kivlehan (1×3, BB) and LF Dario Pizzano (1×4) followed with base hits of their own later on in the game. • SS Ketel Marte, who is currently with AAA Tacoma and UTIL Patrick Kivlehan were named 2014 Southern League Postseason All-Stars on Friday. • The Mariners 1st round pick, 12th overall in 2013 ranks 3rd among all minor league players wth 104 RBI combined between High Deset and Jackson. He also is T10th in the minor leagues with 28 home runs. • INF Jordy Lara ranks among all minor league players in hits (2nd/173), RBI (T5th/102), extra-base hits (5th/68) over 131 games combined between High Desert and Jackson. • YOU (MAY) ALREADY KNOW that Jackson pitcher Moises Hernandez was charged with 2 balks in the 10th inning last night, but DID YOU KNOW? that coming into Thursday, Jackson pitchers had only balked 4 times in the previous 134 games. • the Mariners are 16-7 over their last 22 games (8/2-current), going from 3 games over .500 (56-53) to 12 games over (72-60)…during this stretch the club is batting .261 (197×754) with 58 extra-base hits (2B-32, 3B-6, HR-20) and averaging 4.91 runs per game (outscored opponent 113-64). • ACK ATTACK…Dustin Ackley has driven in 18 runs in his last 20 games (Aug. 6 – current) on the strength of 4 doubles, 1 triple, 3 home runs and a .468 slugger percentage…since July 1, Ack is hitting .313 (56×179) with 25 runs, 14 doubles, 1 triple, 5 home runs, 28 RBI and a .486 slugging percentage. 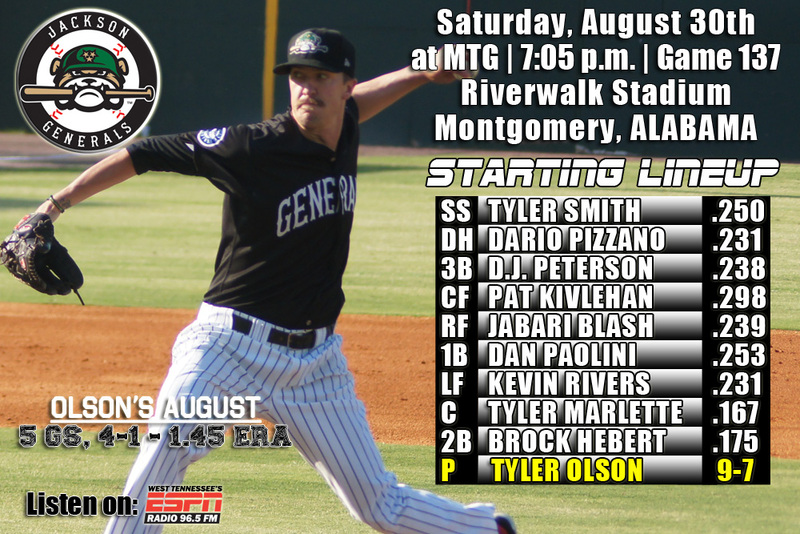 • Bring on the Biscuits…again: The Generals make their second and final trip to Montgomery in 2014 and are 7-9 this season and 2-4 at Riverwalk Stadium. The Biscuits have earned walk-off wins in the last 3 games in Montgomery. • Jackson is batting .262 against Montgomery this season and have out-scored the Biscuits 79-77 in the first 16 games. • Leading the SL in Homers Since July 1st – After hitting just 40 home runs over their first 81 games, Jackson has hit 47 home runs over their last 54 games since July 1st which leads the SouthernLeague in that period of time. The Generals have hit league-leading 26 home runs in August and 11 in their last 11 games. • Tyler Olson remains hot on the mound – Over his last 5 starts in August, LH Tyler Olson is 4-1 with a 1.45 ERA (5 ER, 31.0 IP). During this stretch he has limited opponents to a .220 (26×118) average, while walking 5 and striking out 27. After going 3-5 with a 4.56 ERA (36 ER, 71.0 IP) over his first 13 AA starts, Olson is 6-2 with a 2.48 ERA (13 ER, 47.1 IP) over his last 8 starts. 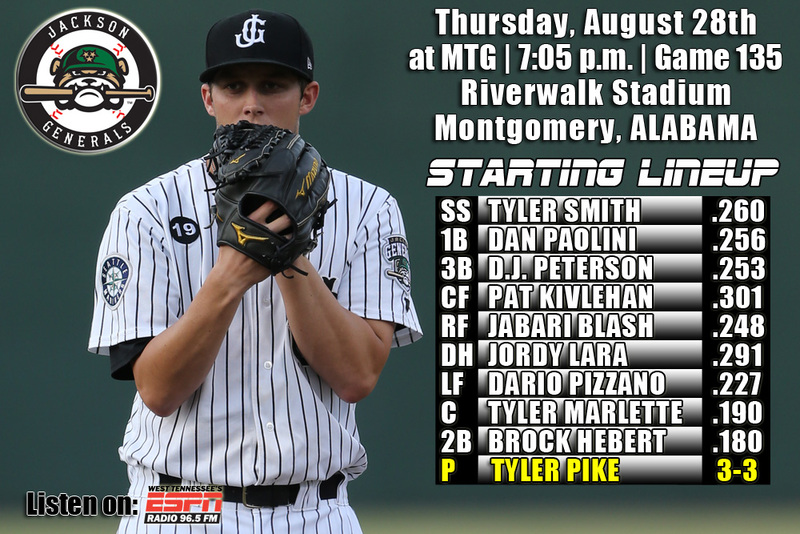 • The Generals begin their final road trip and series of the season tonight with game 1 of a 5-game series at Montgomery…Jackson dropped 3 of 5 from Chattanooga in previous series. • LF Patrick Kivlehan and 1B Jordy Lara each drove in 1 of the Generals 2 runs, but it wasn’t enough as Jackson fell to Chattanooga 8-2 on Tuesday night. • Lara (2×2, 2B RBI, 2 BB), who reached base safely in all 4 plate appearances, and 2B Patrick Brady (2×4, R) each led the team with 2 hits. Kivlehan (1×4, RBI, BB), DH Dan Paolini (1×5, R), 3B D.J. Peterson (1×5), CF Kevin Rivers (1×4) and C Tyler Marlette (1×4) each recorded 1 of the team’s 10 hits. • Starter Victor Sanchez (5.1,5,5,5,1,6,2HR) recorded the loss, allowing 5 runs on 5 hits over 5.1 innings. LH Nick Hill (0.1,4,3,3,0,1) allowed 3 runs as part of a 5-run 6th inning, while RH Matt Brazis (2.0,1,0,0,0,1) and RH Stephen Shackleford (1.1,1,0,0,0,1) combined to hold the Lookouts scoreless over the final 3.1 innings. • YOU (MAY) ALREADY KNOW that the Generals concluded their home schedule Tuesday and drew 135,248 fans, but DID YOU KNOW? that it is the highest cumulative attendance since drawing 140,445 in 2008. • Simply Seager: Despite the loss to Texas yesterday, 2011 General Kyle Seager hit his 20th home run of the season, his 3rd straight 20+ home run season…He is the 3rd Mariners player to hit 20+ home runs in 3 of his first 4 Major League seasons and joins Ken Griffey Jr. and Jim Presley as the only Mariners to do so. • 2012 Jackson catcher Mike Zunino hit his 19th home run of the season, one behind Seager for the team lead. 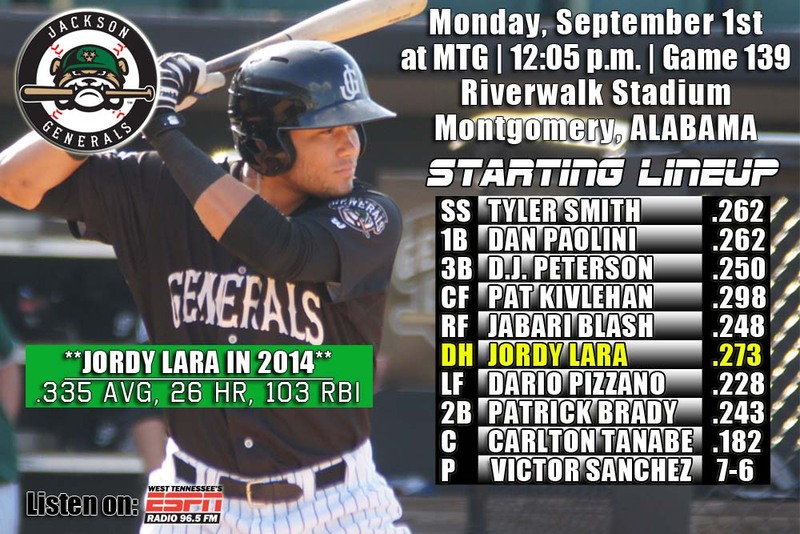 • Bring on the Biscuits…again: The Generals make their second and final trip to Montgomery in 2014 and are 7-8 this season and 2-3 at Riverwalk Stadium. • Jackson is batting .272 against Montgomery this season and have out-scored the Biscuits 79-76 in the first 15 games. • Leading the SL in Homers Since July 1st – After hitting just 40 home runs over their first 81 games, Jackson has hit 47 home runs over their last 53 games since July 1st which leads the SouthernLeague in that period of time. 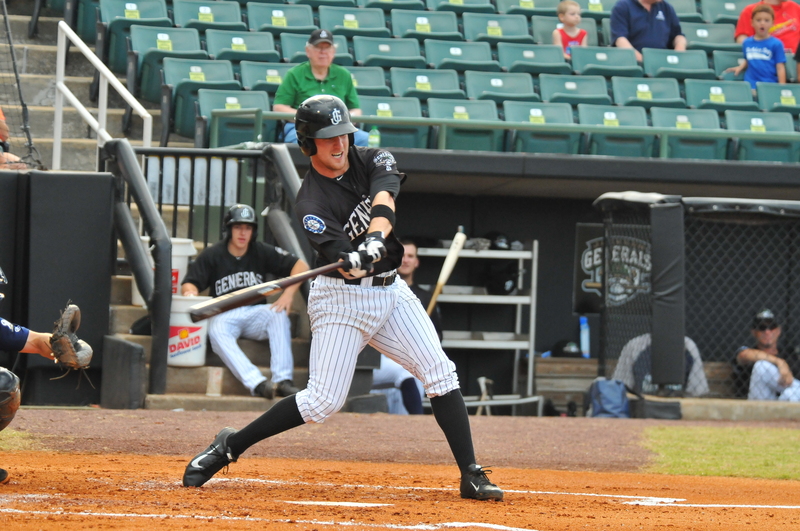 The Generals have hit league-leading 26 home runs in August and 11 in their last 10 games. LH Kyle Hunter has allowed only 1 run over his last 24.0 innings (0.38 ERA). During this stretch, since July 16, Hunter has limited opponents to a .190 (16×84) average, while walking 6 and striking 12. • INF Dan Paolini has hit in 5 straight games with 2 multi-hit efforts. He’s batting .444 (8×18) with 3 doubles, 4 runs, 1 RBI and 3 walks.